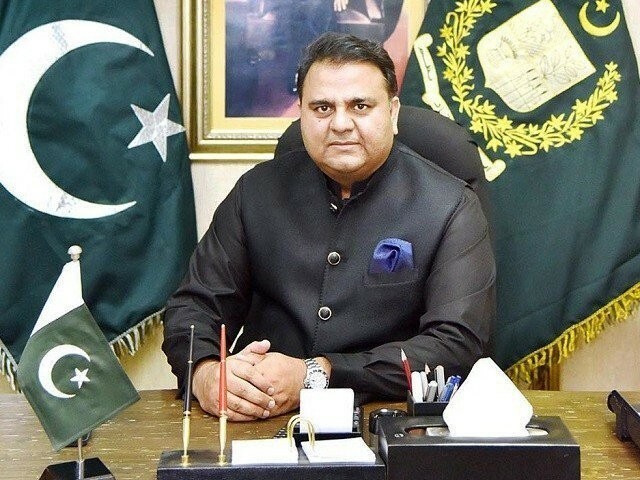 Minister for Information and Broadcasting Fawad Chaudhry has come across yet another controversy after he was banned from entering the upper house by Senate Chairman Sadiq Sanjrani. Speaking on the floor of the house, not only did Chaudhry accuse Mahmood Achakzai of corruption and of making anti-state statements, he also accused the former governments of Pakistan Peoples Party (PPP) and Pakistan Muslim League-Nawaz (PML-N) for embezzling funds given to Balochistan during the last 10 years. This ended up disrupting the senate session, as Achakzai’s Pakhtunkhwa Milli Awami Party (PkMAP), PML-N and PPP retaliated by levelling accusations at Chaudhry. The opposition accused the minister of supporting former military dictator Pervez Musharraf, and after the situation did not deescalate, he was asked to leave. This is not the first time Chaudhry has disrupted the proceedings of the house. 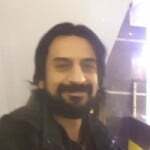 He was earlier involved in a scuffle with PML-N Senator Mushahidullah Khan, and accused him of using his influence to employ his brothers. Chaudhry also disrupted the proceedings of the lower house (National Assembly) by terming the opposition “robbers and thieves”. In retaliation, the opposition walked out of the assembly and only returned when Chaudhry apologised. However, this time Chaudhry refused to tender an apology, despite Sanjrani making it a condition for his re-entry to the senate. What surprised more was Chaudhry’s response, as instead of being contrite, Chaudhry attacked Sanjrani and commented on how he was elected while Sanjrani was not, which is why he should learn to respect elected ministers. Chaudhry suggested that by being a member elected directly by the public, he enjoys more respect than those members elected indirectly. To make matters even more complicated, Federal Minister for Parliamentary Affairs Ali Muhammad Khan denied both, that the premier was annoyed with Sanjrani and that he uttered the words Chaudhry claimed he had. Later, Pervaiz Khattak was sent especially by the premier to meet Sanjrani and assure him of his full support in running the house smoothly. This entire episode has proven that not only is Chaudhry continuously involved in deliberately creating unnecessary hurdles in the proceedings of both houses, but that he also blatantly lies to the people. First is the lie regarding the prime minister’s support for him in this incident, which was proven false by his own party. Then there is the figure he presented regarding Balochistan, which was also incorrect. Chaudhry suggested Rs42 trillion were given to Balochistan over the past 10 years, where in actuality, between 2009 and 2018 only Rs1.4 trillion were transferred by the Federal Government to Balochistan’s provincial government. These incidents are not even the first time Chaudhry has lied blatantly. He continues to offer fudged facts and figures inside the house as well as in his press conferences, in order to somehow prove the opposition parties are responsible for every ill faced by the country today. What Chaudhry has forgotten is that he is now a minister, and that too for information and broadcasting, ironically. What he says will be taken as the official statement of the government, which adds to his responsibility in an age where the media plays an important role in governance. Does Chaudhry honestly believe he can get away with presenting fake news to the senate? Unlike blind followers of the Pakistan Tehreek-e-Insaf (PTI), the senate consists of some of the finest politicians and informed minds in the country, allowing for his lies to be exposed easily. His derogatory comments about the senate also indicate he does not have an in-depth understanding of the parliamentary system of Pakistan. Members of the senate are not worthless because they have not been elected by the public directly. In fact, the procedure to elect them indirectly has been made to assure that the provinces are not neglected and are given an equal say in state affairs by having equal representation in the house. The fact that Chaudhry was elected directly does not make him wiser or more respectable than anyone else, as going by this yardstick Chaudhry is not more respectable than those members of the National Assembly who have never lost any elections in their entire political career, while Chaudhry has lost three elections on the trot before tasting success on the ticket of PTI. After all, Chaudhry has been known to change his political loyalties quite often, for he has been associated with Musharraf, PPP and the Pakistan Muslim League-Quaid (PML-Q). One wonders why corruption never occurred to him when he stood alongside PPP and received perks and privileges by the party. This behaviour of accusing political opponents without factual evidence will create difficulties for the PTI-led government in making new legislations or amending existing ones, as any change in the Constitution requires a two-third majority from both houses. Forget about amendments, it will be difficult for PTI to get even a simple bill passed in the National Assembly and the Senate. The sitting government thus has to always show patience in order to maintain the order of both houses, while the opposition is expected to make this difficult. But the PTI is no longer in the opposition, yet the party itself is disrupting the order of the house, and Chaudhry is playing a key role in this. Speaking to The Express Tribune, Mushahidullah stated he has never seen such behaviour from any government in the past, clarifying that Chaudhry’s remarks about Sanjrani are an insult. He further stated that following Chaudhry’s own argument, the prime minister and president should also be considered less important as they have not been elected by the masses directly but have been chosen by the members of the National and Provincial Assembly. Mushahidullah then revealed he has requested the Chief Justice to conduct an inquiry on the allegations levelled against him by Chaudhry, and that if found guilty, he will leave politics entirely, but that if Chaudhry is proven wrong he should be disqualified under Article 62 of the Constitution. He also informed that Senator Rabbani is very concerned with the manner in which Chaudhry disrupts the house, and is thinking of resigning if this continues. Finally, according to him, Chaudhry is doing this deliberately on the orders of his leadership to target senators and those members of the National Assembly who are vocal about the discrepancies of this government. If Chaudhry is disrupting the houses deliberately on the directive of his senior leadership, then the PTI government is surely moving fast towards the path of self-destruction. A government with a very thin majority in the centre, one dependent on its allies, cannot afford to deliberately sabotage the atmosphere of both the houses of parliament. It is high time Chaudhry acts like an elected minister in the government and takes responsibility for his own failures. Not disrupting house proceedings and not levelling false accusations on members of the opposition would be a good start. Otherwise the writing on the wall is clear, and undermining democratic institutions will only damage the democratic credentials of the PTI. Add in the time when IK was allegedly “offered a 100 billion for dropping his Panama” tantrums, and you begin to see why Pakistan is such a mess right now. When leaders are replaced with liars, and the democratic process is hijacked through fake news and propaganda, the result has been proven over and over again to be another Trump for another hopeless state, be it the US, Brazil, UK or this “land of the pure”, the world is burning, and it’s fuel is merely the hatred fed by deceit which we are too blind to let go of when facts stare us in the face.